At Place Ste-Foy, we know that your time is precious. We are therefore offering you a new valet service so that you can fully enjoy the Place Ste-Foy experience. Whether on a shopping day or a gourmet evening, leave your car at the foot of the restaurant patios. We will park it for you and bring it back to you at the moment of your choice. at the foot the restaurants' patios. 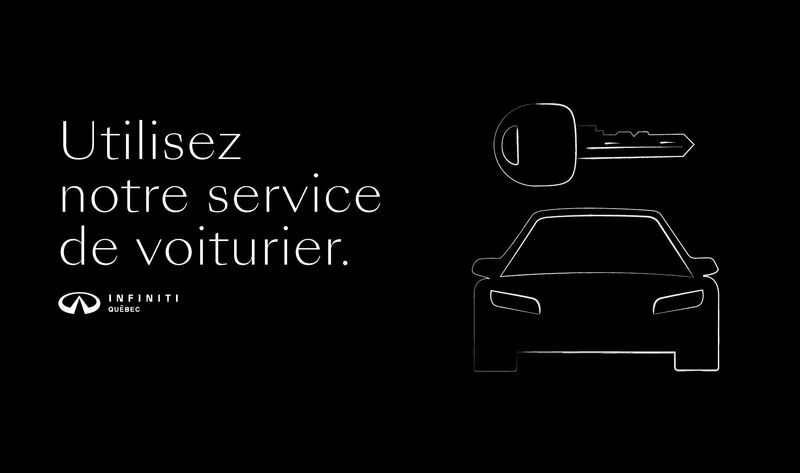 After five uses of our valet service, you'll receive a free two-day test drive from Infiniti Quebec. - Users must go to Infiniti Québec to choose the model of their choice and must provide proof of insurance and a valid driver's license. - Fuel will be at the expense of the user. - This offer is valid for travel within Canada only. Please contact the concierge at (418) 653-4184 if you have any questions.